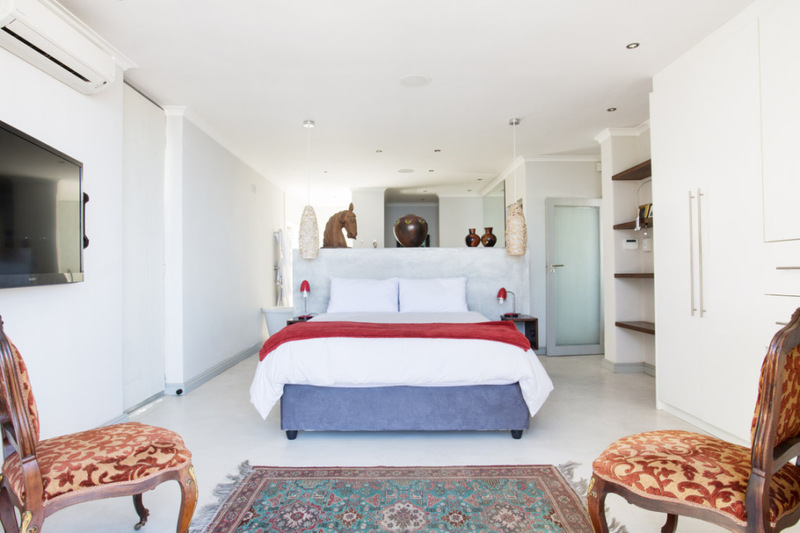 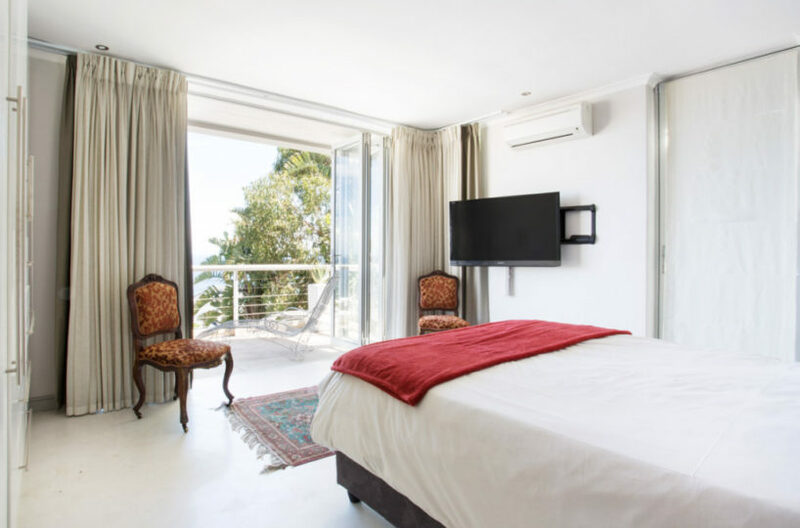 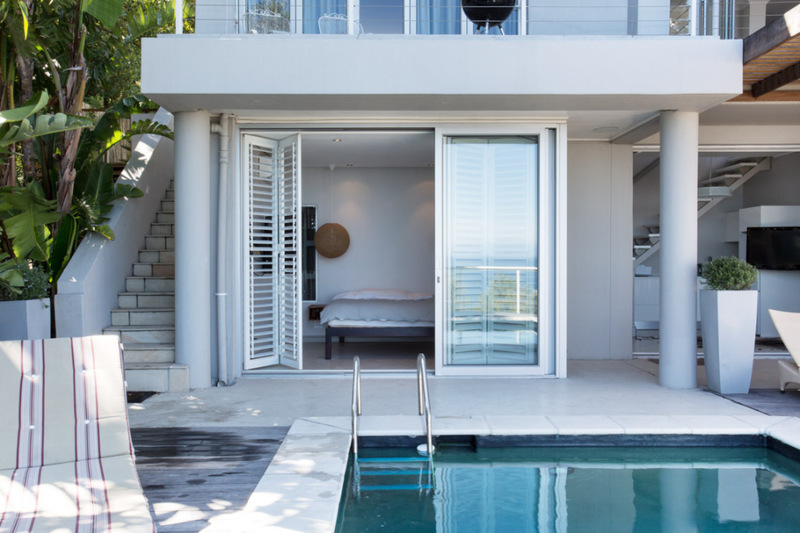 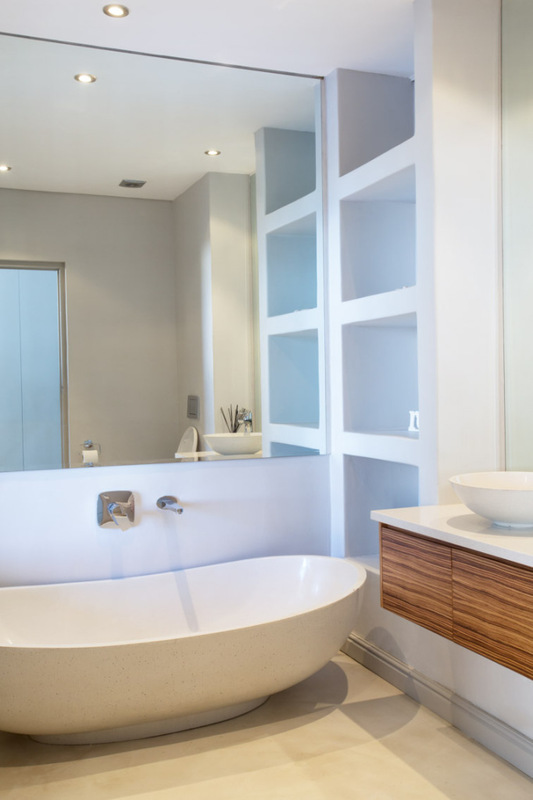 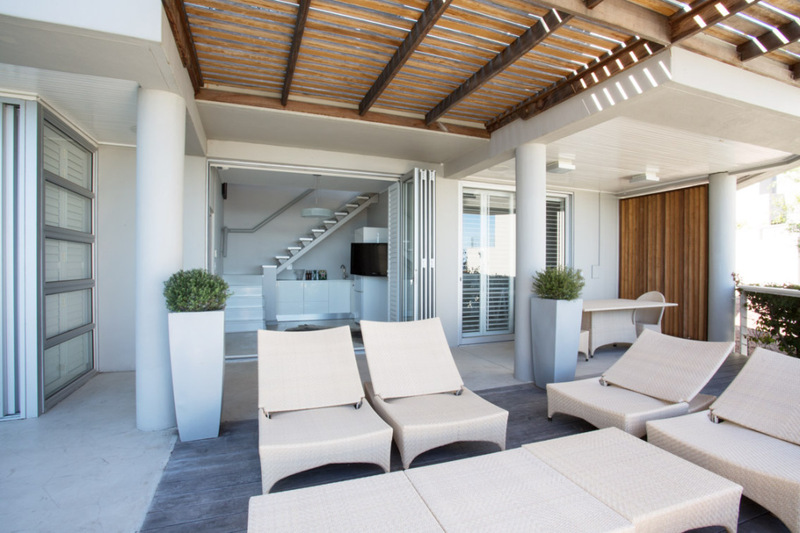 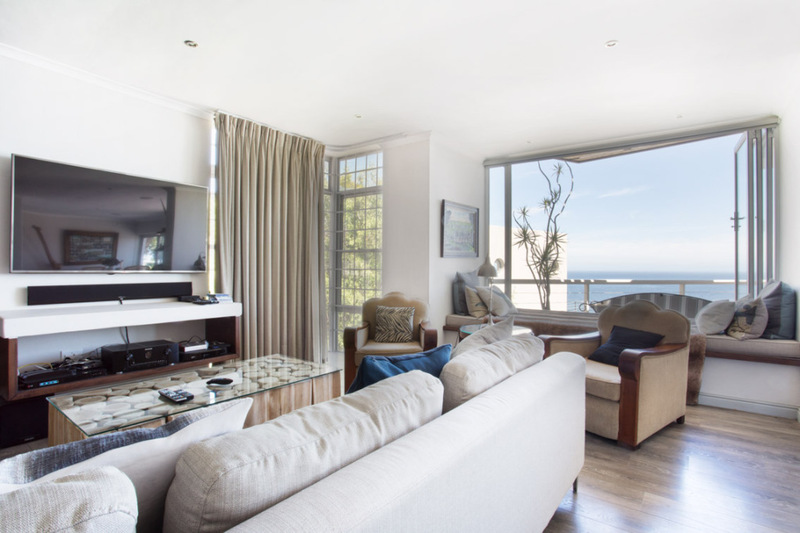 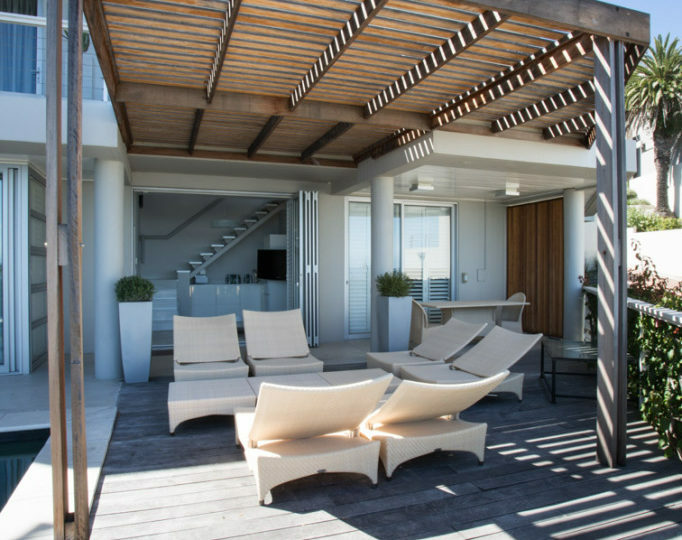 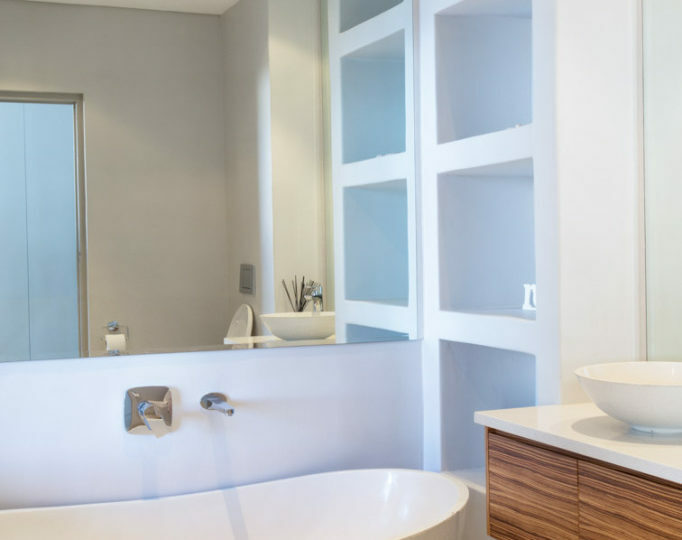 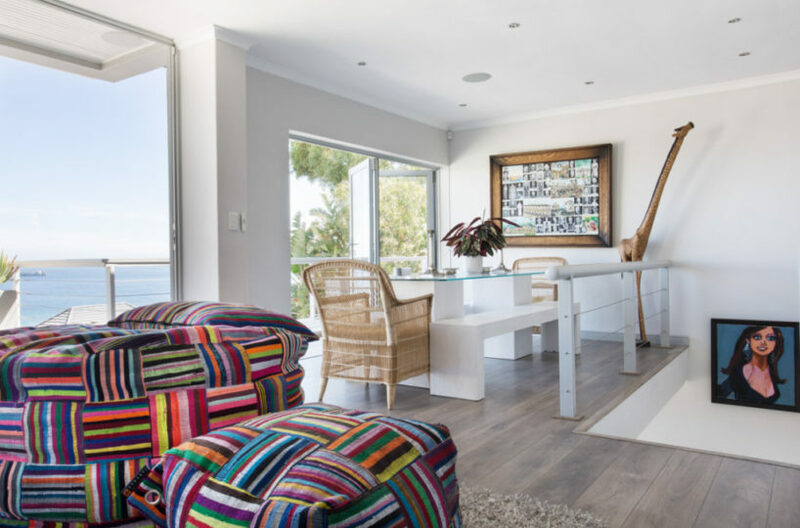 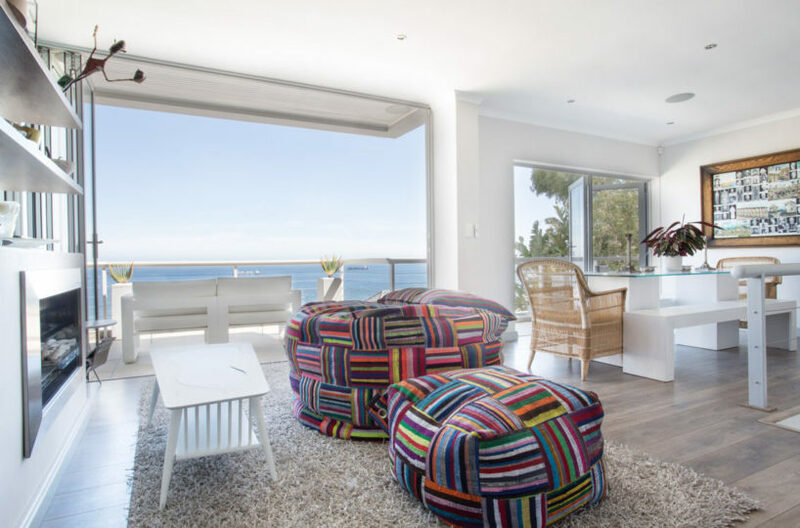 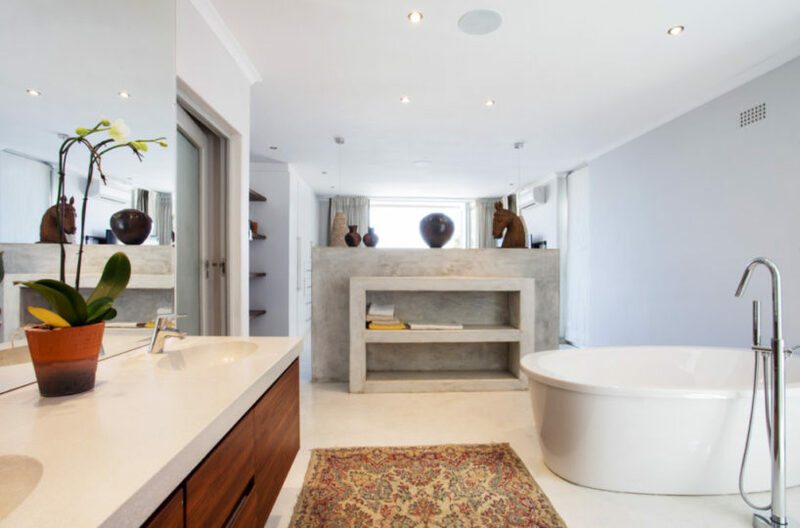 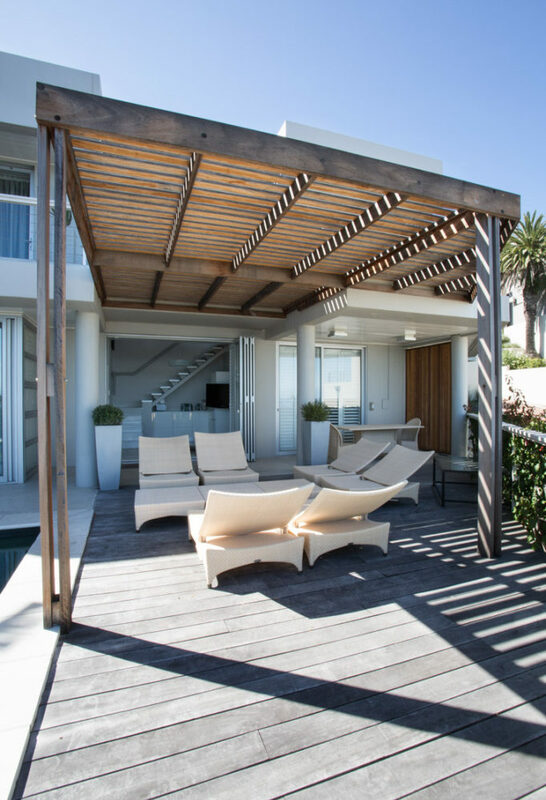 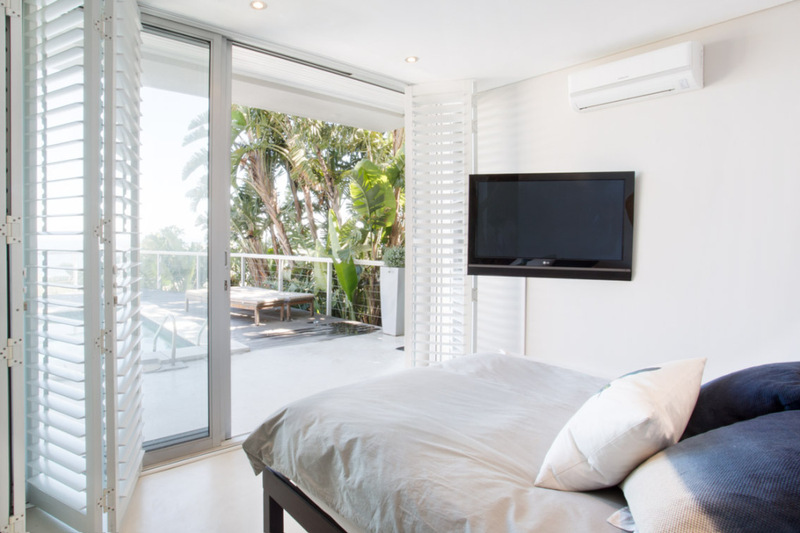 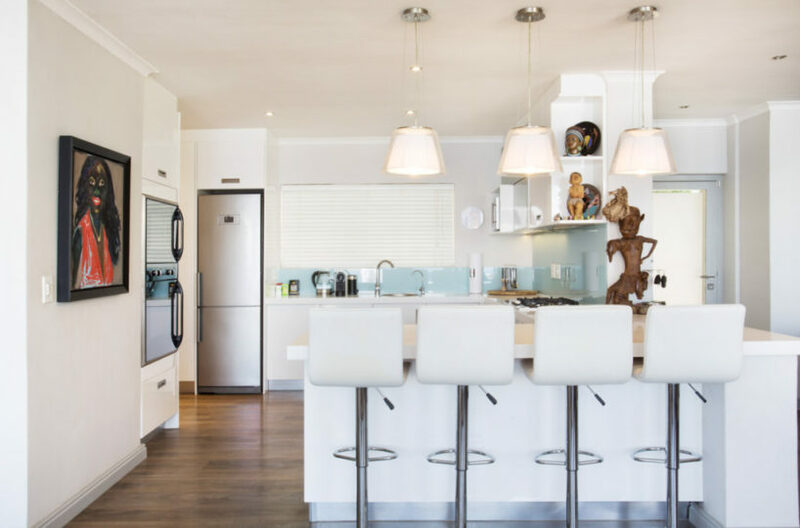 A stunning 3 double bedroom holiday villa in Bantry Bay with uninterrupted ocean views. 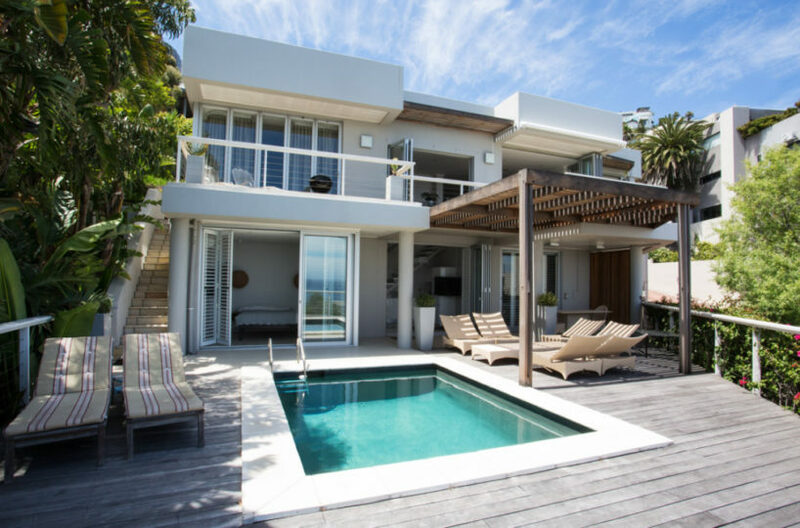 The house is set over two floors with the main living and dining area, and the master suite on the top floor, and a further 2 bedrooms and pool deck on the ground floor. The house is wonderfully decorated with interesting art pieces and a sense of style, while keeping the lightness of a coastal holiday home. The sea views can be seen from every room in the house and french doors in all rooms keep the sea breeze flowing through the home. The house has plenty of areas to suit different moods and occasions and therefore makes an excellent location to both entertain friends or simply relax in a quiet corner with a book. 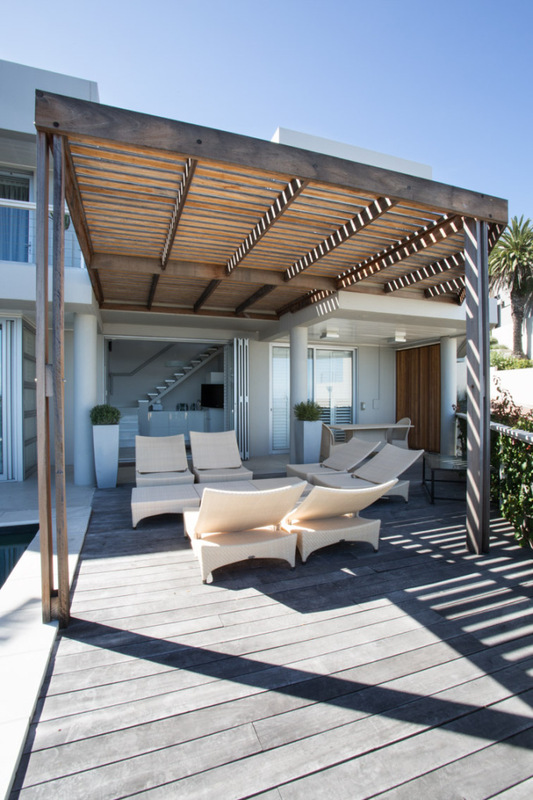 It really is the perfect place to enjoy a Cape Town holiday. 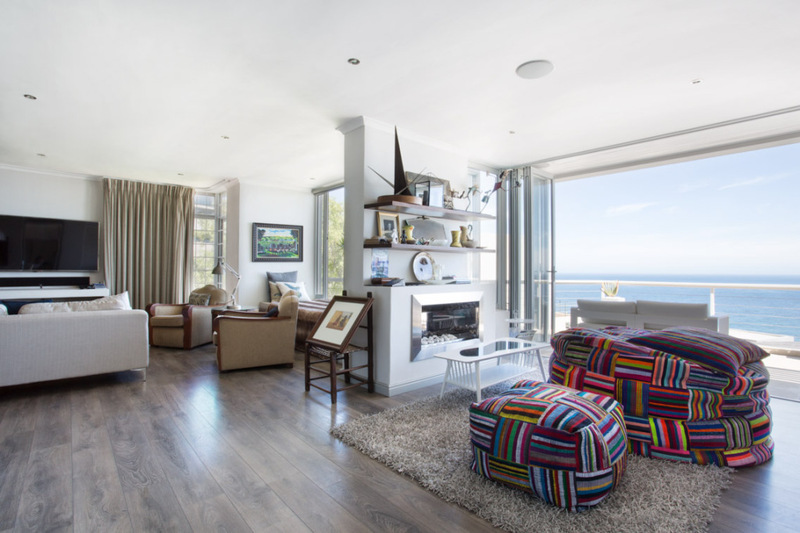 Bantry Bay is an excellent location in which to explore the Cape. 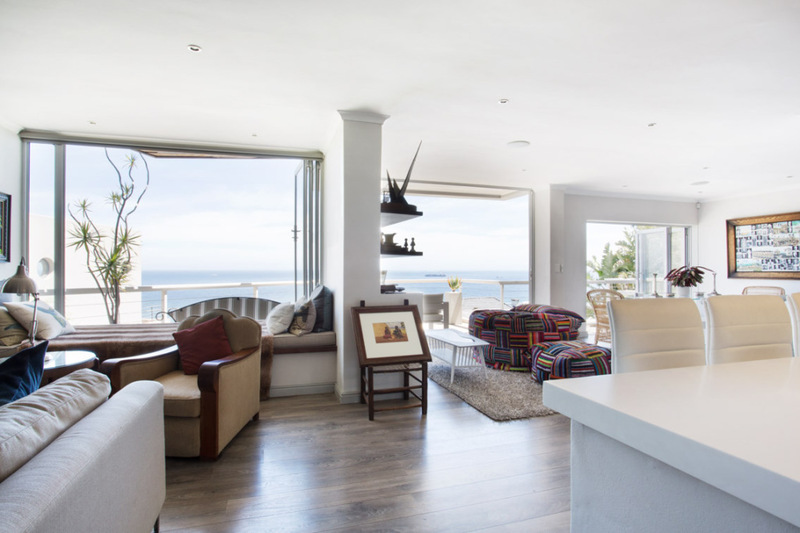 All within 5 minutes drive you will find Clifton and Camps Bay beaches, Lions Head, Table Mountain and Sea Point Promenade. The centre of Cape Town is just 10 minutes by car.